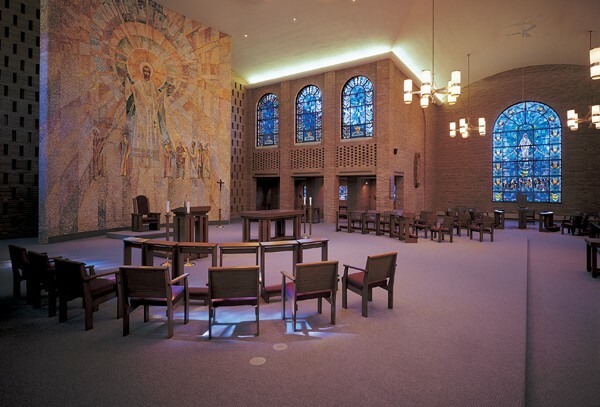 To liturgically update the chapel within the 1963 Bishop O’Connor Catholic Pastoral Center in Madison, Wisconsin, creating a more flexible worship space. 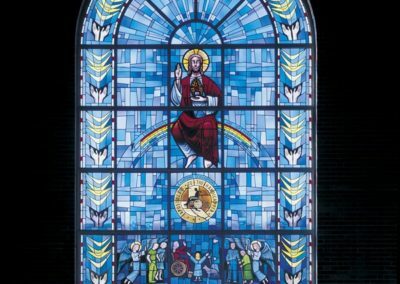 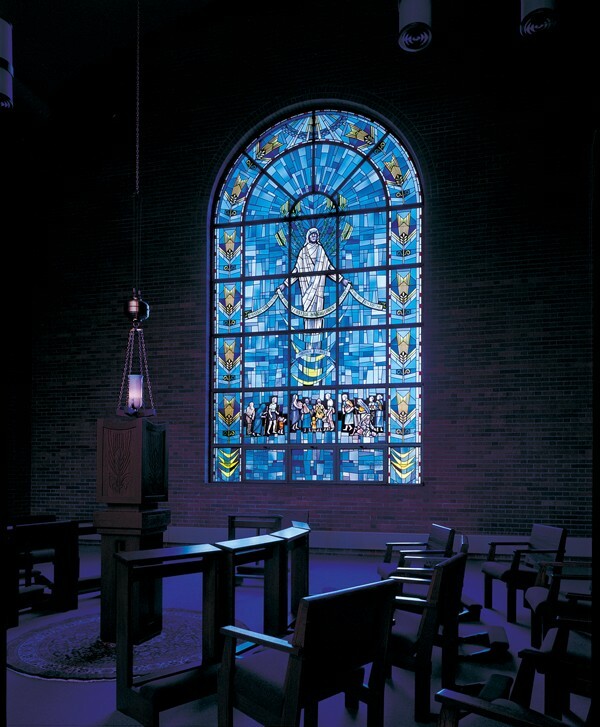 The original glass, installed when the chapel was constructed in the mid-1960s, was intended to serve as a temporary treatment. 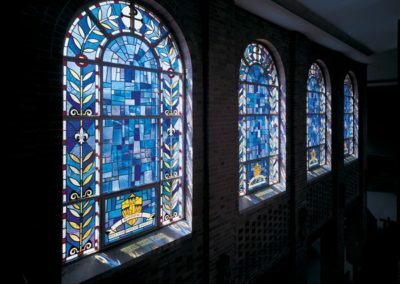 With 36 separate windows, the project was completed in phases, beginning with the two large transept windows. 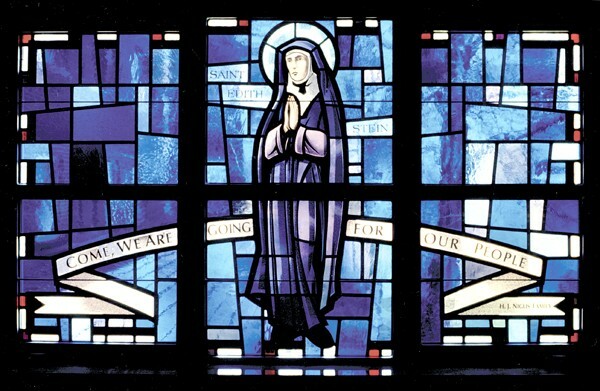 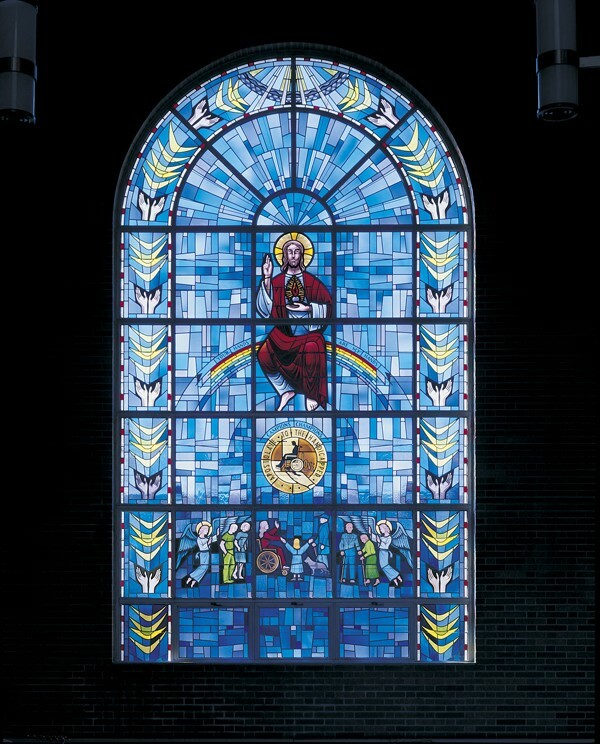 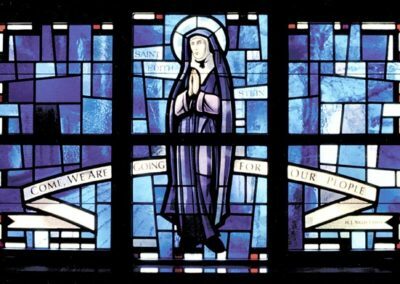 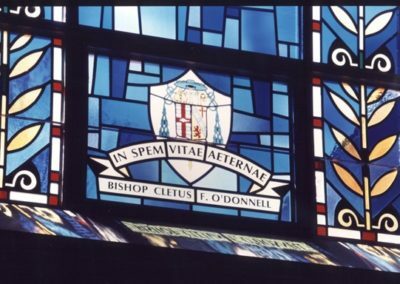 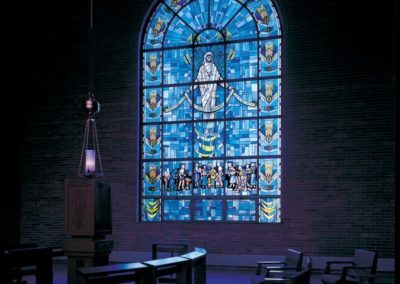 In the Bishop O’Donnell Holy Name Memorial Chapel in the in the Bishop O’Connor Pastoral Center, the style of the windows was dictated by the contemporary decor of the chapel. 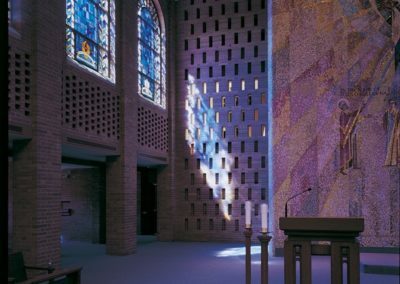 A palette of various blues and soft pastels was incorporated into the window design to complement and enhance the existing reredos mosaic. 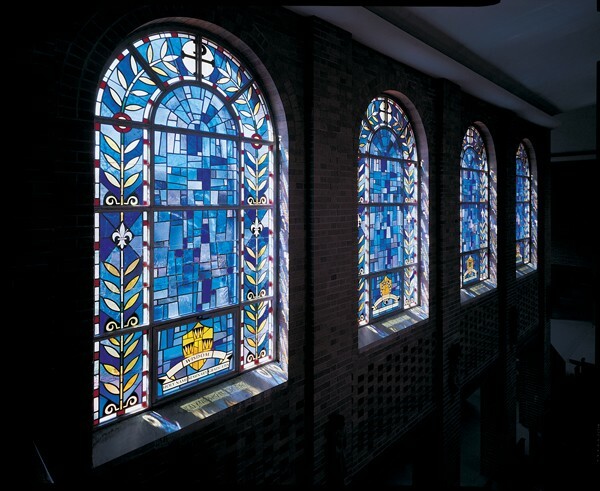 The left transept window was also designed and fabricated by Conrad Schmitt Studios. 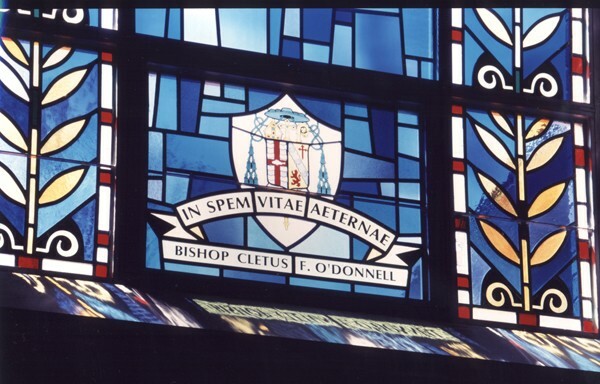 It is a tribute to the Apostolate to the Handicapped established by Bishop Cletus F. O’Donnell in 1967. 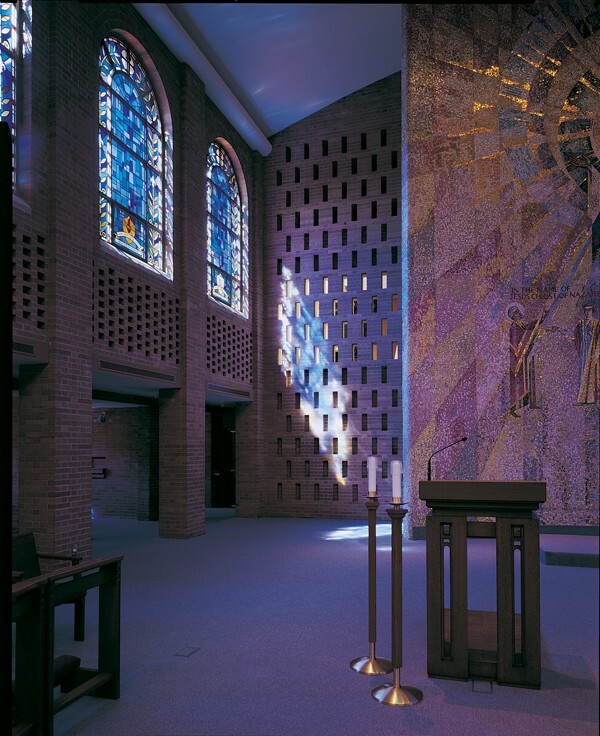 The existing communion rail was removed to provide a new liturgical layout, including a special area for the Eucharistic Chapel. Chairs were chosen for seating, to increase the functionality of the space for different ceremonies and events.